Gō ni itte wa, gō ni shitagae, runs an old Japanese proverb: Obey the customs of the village you enter. It may already be too late for Cricket Collins, a recent Ivy League graduate who travels to Osaka for his first real job as an English instructor. The time is late 1970s, with Japan quickly becoming the new find-yourself region that India was to the backpack set in the 1960s. From pachinko parlors to paper cranes, tea ceremonies to translation problems, everything is entrancing to Cricket, at first, as he throws himself headfirst into a two-thousand-year-old culture. But soon he gets fired from his teaching job at Kansai Gakuin for petty theft, and on a brief trip to Korea he becomes embroiled in a sexual misadventure with painful after-effects. Spinning slowly out of orbit in his free-floating expatriate existence, he starts to lose touch with family, friends, and reality. It isn’t until he returns home to America that he begins to turn Japanese with a vengeance. Turning Japanese is as much about the allure of a foreign culture as it is about the divided existence of an expat and the terrors of ones own mind. Be careful of breaking down the barriers between two cultures: the breakdown you create may be your own. David Galef captures the allure and peril of living as an expatriate…as Cricket must choose between returning to a homeland where he no longer feels at home and remaining in place where he may never be truly accepted, Galef produces a chilling denouement for this nicely detailed exploration of cultural dislocation. 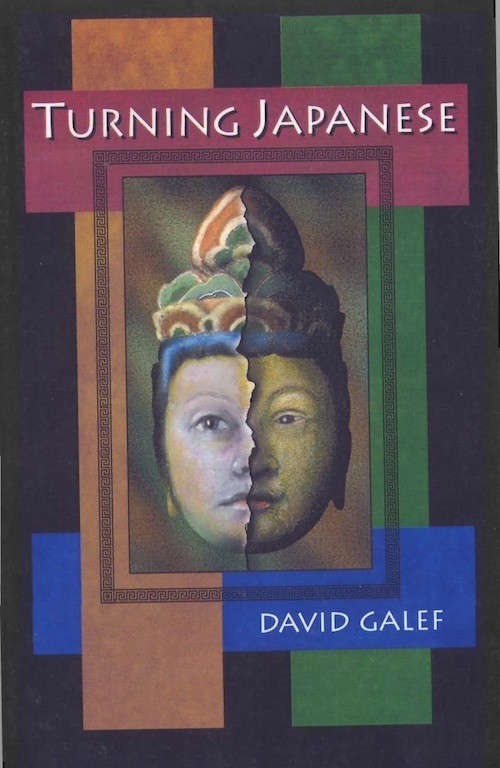 That David Galef’s second novel, Turning Japanese, is a sometimes arduous read does not detract from its enjoyment. Rather, it underscores the strangeness that permeates the life of one Cricket Collins, American expatriate in Japan. Galef brilliantly captures expatriate life in Japan. Particularly hilarious…also profoundly sad, which, I suspect, is what comedy ought to be at bottom. Interesting from a cross-cultural standpoint…. Galef’s second novel…is bound to strike a chord with the 20-somethings….